Klarna Checkout shows the payment options that can be offered to you. Current payment options via Klarna Checkout are invoice, installment, card payment or bank payment. Invoice is the preferred payment option where possible. In the case of invoice payment, Klarnas applies to invoice terms at any time; U.N. 14 days credit, a reminder fee will be charged for non-payment. If you have bought for less than 60 kr, you will receive 29,00 kr, and if you have bought for 60 kr or more, add 60,00 kr in reminder fee. Even a default interest rate corresponding to 24% plus at any time by the Riksbank established reference rate. It costs nothing to use Klarna Checkout. However, any taxes or fees may apply through the chosen payment options, please see the individual payment terms for the option you choose. The Clients can add or remove one or more payment options at any time offered by Klarna Checkout. 30 days net for established customers. 14 days net for new customers. In case of payment after the due date, interest is charged according to the interest rate act. All payment solutions are made via Klarna Checkout. Read more about purchase terms for Klarna Checkout, Klarna.dk. All payment solutions are made via Klarna Checkout. Read more about purchase terms for Klarna Checkout, Klarna.fi. All payment solutions are made via Klarna Checkout. Read more about purchase terms for Klarna Checkout, Klarna.no. Swedish VAT will not be invoiced when shipping to Norway. Any import fees such as Norwegian VAT, toll, etc is the responibility of the customer. 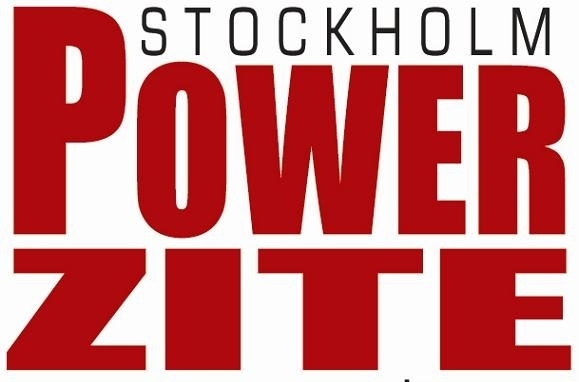 Send your request to mail@powerzite.se and we will provide you a quotation. PowerZite AB has the policy to ship out to the specified address within 1-3 business days of receipt of the order. If the item is not in stock, the customer will be informed before any delivery. Delivery takes place free of charge (does not apply to Home Driving) at an order value above 499 kr. If the total order value falls below SEK 499, only one shipping cost of 69 kr will be added. Home driving Mail package: This option can be selected at checkout / checkout and charged with 249 kr. Shipping costs are added according to DHL or Postnord's rate. PowerZite will contact you with information on shipping costs. You will not commit to purchase until you have approved the shipping cost. PowerZite AB has the policy to ship out to the specified address within 1-3 business days of receipt of the order. If an item is not in stock, the customer will be informed before any delivery. Shipping cost: 77.34 DKK up to 5 kg not bulky. For weights over 5 kg or bulky, PowerZite will contact you with details of the shipping cost. You will not commit to purchase until you have approved the shipping cost. Shipping cost: 10 Euro up to 5 kg not bulky. For weights over 5 kg or bulky, PowerZite will contact you with details of the shipping cost. You will not commit to purchase until you have approved the shipping cost. Shipping cost: 338.22 NOK up to 5 kg not bulky. For weights over 5 kg or bulky, PowerZite will contact you with information on the shipping cost. You will not commit to purchase until you have approved the shipping cost.